Bulgartabak Holding ( ) reported a consolidated loss in the amount of 14.41 mln leva (7.36 mln euros) in quarter one, against a negative result at 499,000 leva for the corresponding period last year, the company's consolidated report stated. Revenues are down 44% to 43.02 mln leva (21.9 mln euros), which is due to declining sales revenues. Last year sales of production, goods, services etc amounted to 75.9 mln leva (38.8 mln euros) in Q1, while this year the figure is down to 40.48 mln leva (20.6 mln euros). The group's tobacco export stands at 2,160 tonnes, versus 1,690 tonnes last year. Tobacco sales on the home market, however, are decreasing, from 938 tonnes in Q1 last year to 342 tonnes for the respective period this year. 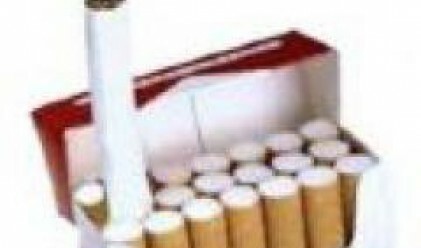 The companies in the Bulgartabak group sold some 2,750 tonnes of cigarettes in Q1, compared with 3,220 tonnes last year. The 14% decline is attributed to several factors – the new excise imposed this year, a strong competition on the market of imported cigarettes sold at 2007 prices, the so-called price war with the brand BAT Viceroy, as well as illegal import. According to the holding, clients have withdrawn mostly from the brands Sredec and GD and are shifting to other Bulgarian or foreign brands costing around (or less than) 2 leva. Bulgarians are still choosing cigarette brands based on the price and this tendency is expected to be sustained until the 2007 priced lots run out. The brands Viceroy and Assos are increasing market share. This tendency was also confirmed in a A.C. Nielsen analysis. There are no transactions with the stock so far this morning. 10 bids are placed ranging from 21 to 28 leva/share, and there are 12 asks between 30 and 36.73 leva/share.